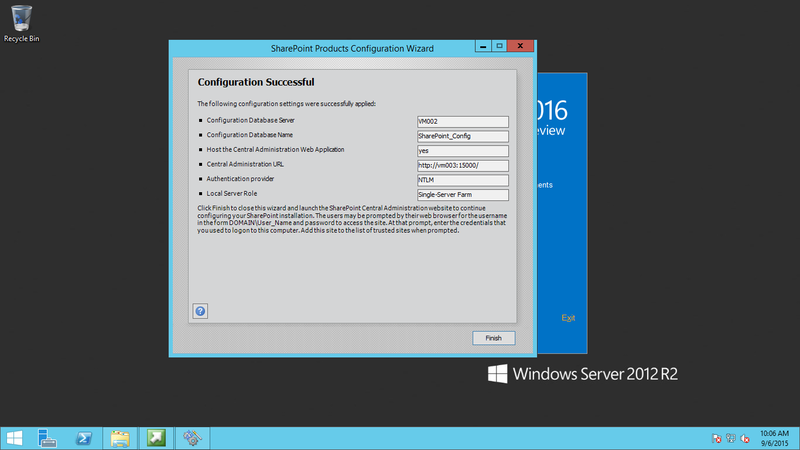 Part 2 of my mini blog posts as I install SP2016 Technical Preview over this Labor Day weekend. We’re installed! I chose Single Server Install right now as I have limited resources on my host and it is my intention to turn this into a DEV box for future App Model (Add In) projects. 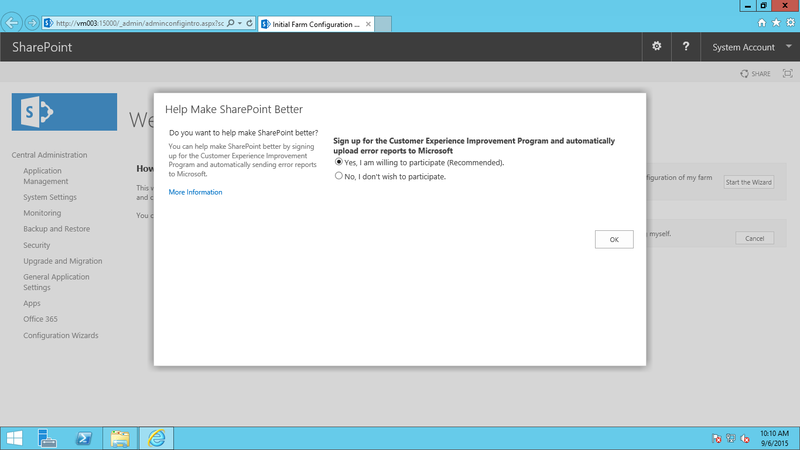 by all means send my info to the Customer Experience Program… it’s what this early access is all about! Lastly, as you can see, Central Administration looks pretty familiar. 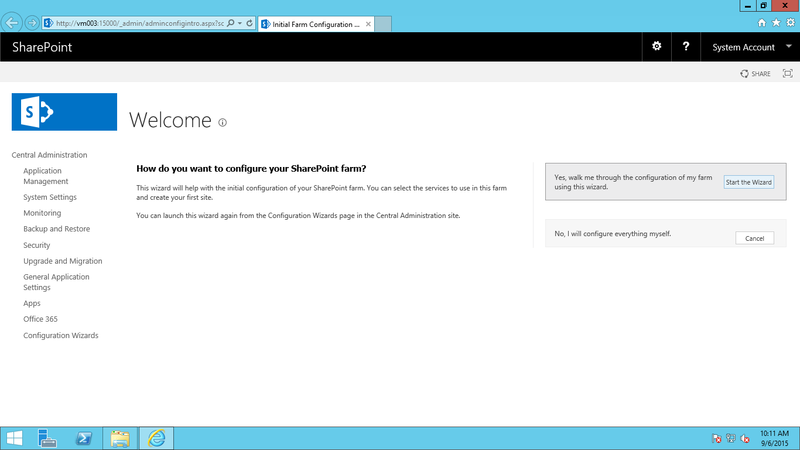 For this Single Server Install I shall kick off the configuration wizard and see which managed services it installs by default.